The Turks & Caicos Islands Tourist Board coordinated a ‘Cleanest School Competition’ and has announced Charles Hubert James Primary School as the winner. The competition was lunched during Tourism Environmental Awareness Month (TEAM) in November 2018 and was among public primary schools on the islands of Providenciales, Middle Caicos and North Caicos. Each school was judged on thirteen (13) criteria in five (5) areas which consisted of Entrance, Buildings, Bathrooms, Grounds and Classrooms. The competition was judged by officials from the Turks & Caicos Tourist Board and Public Health Department who made unannounced inspections at each school. 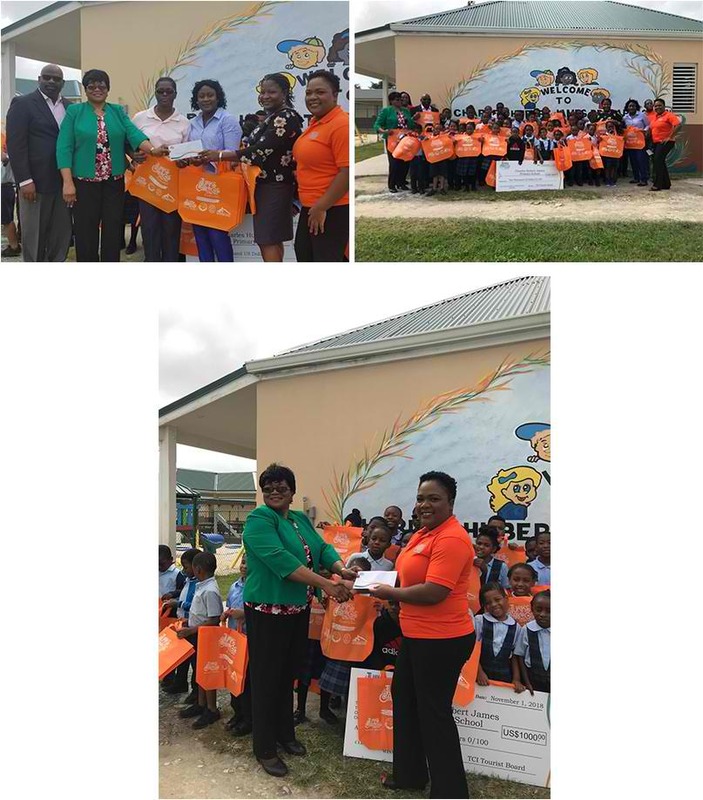 The Charles Hubert James Primary School in Kew, North Caicos emerged victorious and was presented with a prize of $1,000 from the Turks & Caicos Islands Tourist Board. The prize presentation was made on Tuesday January 22, 2019 by members of the Turks & Caicos Tourist Board team to the forty student population, teachers and principal. Hon. Ralph Higgs, Minister of Tourism, Environment, Heritage, Maritime and Gaming was also in attendance and expressed congratulatory remarks to the student body and commended them for being recognized for their cleanliness and discipline. Mr. A. Donjae Lewis, Quality Assurance Officer at the Tourist Board and coordinator of the Cleanest School Competition stated, “The purpose of the competition was to encourage local students to not only keep their school surroundings clean but in doing so, consider the impact of pollution on the environment and the responsibility they have in keeping our islands clean”. Ms. Campbell, Principal of the Charles Hubert James Primary School, on receiving the check thanked the Turks & Caicos Tourist Board and stated that the funds would be used to invest in improvements to the grounds of the school. Ms. Campbell stated, “It is also important to note that our school does not have a grounds keeper, this is a team effort of students and teachers combining our efforts to keep our surroundings clean. We take great pride in it and this award means a lot to us”. The Cleanest School Competition is set to be an annual undertaking by the Tourist Board with plans to expand to additional islands.